This April 14, 2014, file booking photo released by the North Berkshire District Court in North Adams, Massachusetts, shows Alexander Ciccolo, after he was charged with drunken driving. 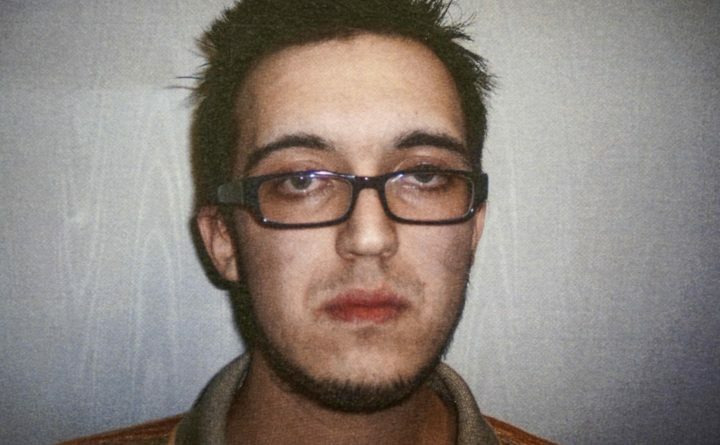 Ciccolo, son of a Boston police captain, was arrested July 4, 2015, in Adams, Massachusetts, and accused of plotting an attack on a college campus in support of the Islamic State group. Ciccolo, who pleaded guilty, was sentenced in federal court to 20 years in prison on Wednesday in Springfield, Massachusetts. SPRINGFIELD, Massachusetts — A Boston police captain’s son has been sentenced to 20 years in prison for plotting an Islamic-State group inspired attack on a university. Alexander Ciccolo was sentenced Wednesday in Springfield’s federal court. Ciccolo pleaded guilty to terrorism charges in May, a month before he was scheduled to go to trial. Ciccolo’s lawyers identified the school in court documents as New Mexico State University. Harold Shaw, special agent in charge of the FBI Boston office, called Ciccolo a “committed soldier” of the Islamic State group who wanted to kill innocent Americans. Ciccolo’s lawyers say the man had a troubled childhood and dealt with mental health and substance abuse issues. Boston police Capt. Robert Ciccolo tipped off the FBI after becoming concerned about his son’s violent rhetoric.